During the first bottling, which took place in March, the quality of the vintage quickly became clear. All the wines made in 2011 show a lot fruit and crispness. They are quaffable and fresh wines which release their aromas easily. It is important to recognise that the climatic conditions in 2011, which put a strain on the nerves of professionals, have greatly influenced the structure of the wines. The careful management of the spring drought and the high temperatures during harvest, combined with the precise hand-sorting of the grapes were the key success factors of the 2011 vintage. This year, the vineyard has constantly been tossed to and fro between extremes: harsh winters (-20°C on the 26th of December 2010! ), mild or high temperatures in spring then drought, followed by heavy rainfall in summer. The budburst took place at the beginning of April, a fortnight earlier than normal. The dry, sunny, very hot weather accelerated flowering in late May by two to three weeks. The excellent weather conditions during flowering led to a good budburst, and counteracted the risk of fungal diseases. The early summer months were cooler and more humid than the latter, and the return of good weather on the 15th of August made up for much of the water deficit and slightly reduced the advance of the vegetation. The Regional Committee of Alsace Wines Experts (CRINAO) finally managed to agree on the following dates to begin the harvest: For AOC Crémant d’Alsace – Thursday, 25th August. For AOC Alsace, Wednesday 7th September and Monday 12th September 2011 depending on grape varieties. For AOC Alsace Grand Cru, Wednesday 7th. September 2011 for Pinot Gris for all the lieux dits (unless otherwise requested by the Local Management) and Monday 12th. September for the other grape varieties. For the Vendanges Tardives and Sélections de Grains Nobles, Wednesday 21st. September for Pinot Gris and Monday 26th September for the other three noble varieties. The harvest took place under the best possible conditions. The wind eliminated any occurrence of rot and this contributed to the development of the concentration of the wine. Apart from the areas that normally require early harvesting, the experts were patient, as in 2007, in order to best manage the ripeness and condition of the fruit. From mid September, Alsace was lucky enough to benefit from a true Indian summer! While vinification didn’t pose any particular problems, there were nonetheless occasions when the pickers needed to hand-sort the grapes and sometimes use chillers in the cellars. Surprisingly, considering the amount of heat that had been absorbed by the grapes, the fermentation process started relatively quickly. Controlling this fermentation process was the key to preserving the aromatic potential of this vintage. The two great success stories of this 2011 vintage are the Crémants d’Alsace and the Sylvaner. 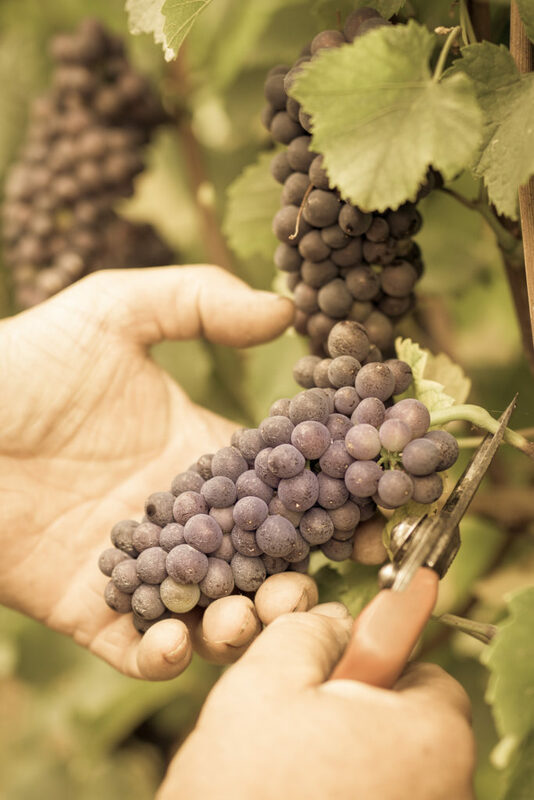 The crucial decisions taken as to when to harvest were proved accurate as the Pinot Blancs, Auxerrois and Pinot Gris were all in perfect condition, despite having experienced very humid summer conditions. The Pinots Gris are well-balanced and fruity, the Pinot Blanc and Auxerrois light and fresh. The Pinot Noirs have good colour and closed tannins. The Rieslings have great aroma and a light acidity; meticulous yield controls was the key for them. The Muscats are crisp and fruity. The fermentation of Gewurztraminers was managed with great attention in order to avoid high alcohol levels as well as to preserve their aromatic complexity. As the climatic conditions of the end of season were less favourable for the development of noble rot, the production of Vendanges Tardives should be more noteworthy than that of the Sélections de Grains Nobles. The harvest volume totals 1,160,000 hl, up 27% in comparison with the exceptionally low volume recorded in 2010. It has increased by 6% compared with the five-year average and consists of 840,000 hl of AOC Alsace, 45,500 hl of AOC Alsace Grands Crus and 275,000 of AOC Crémant d’Alsace. Commercially, the low 2010 harvest volume and the price pressures have resulted in a slowdown in the bottle market. 2011 ended on a total commercial volume of 1,049,250 hl, all AOCs and channels comprise, down 4.5% from the previous year. The decrease was more pronounced in the French market (- 4.7%) than export markets (-3.9%).